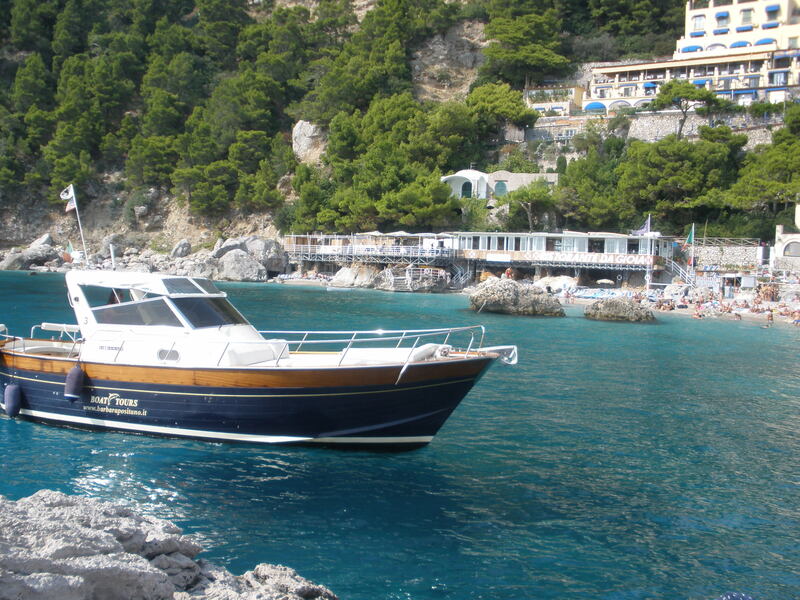 There are many day trips to nearby towns and cities that you can take from Rome. 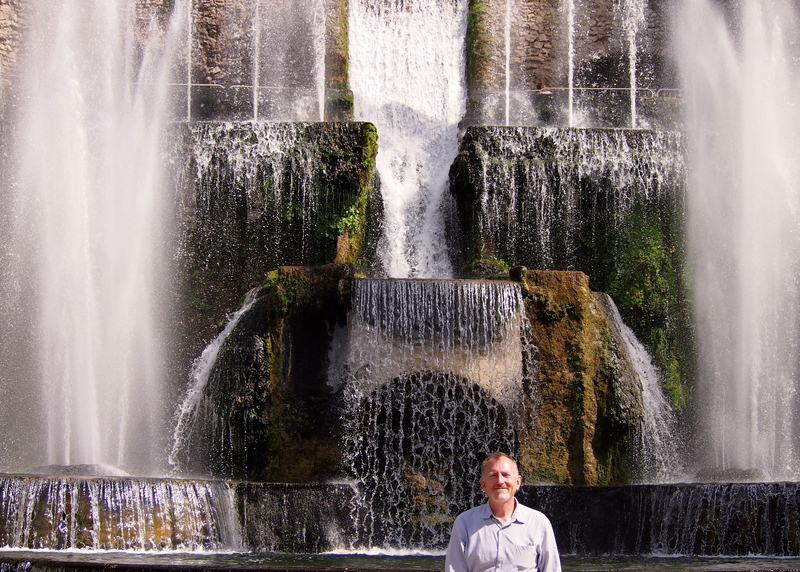 Florence, Frascati, Tivoli, and Ostia Antica are among some of my favorites. Taking the high speed Frecciarossa (Red Arrow) or Frecciargento (Silver Arrow) from Roma Termini Station to Firenze located just under 300 km to the northwest from downtown Rome, takes 90 minutes. Italy’s high speed trains are a great way to travel, comfortable and ultra modern, maximizing your time. 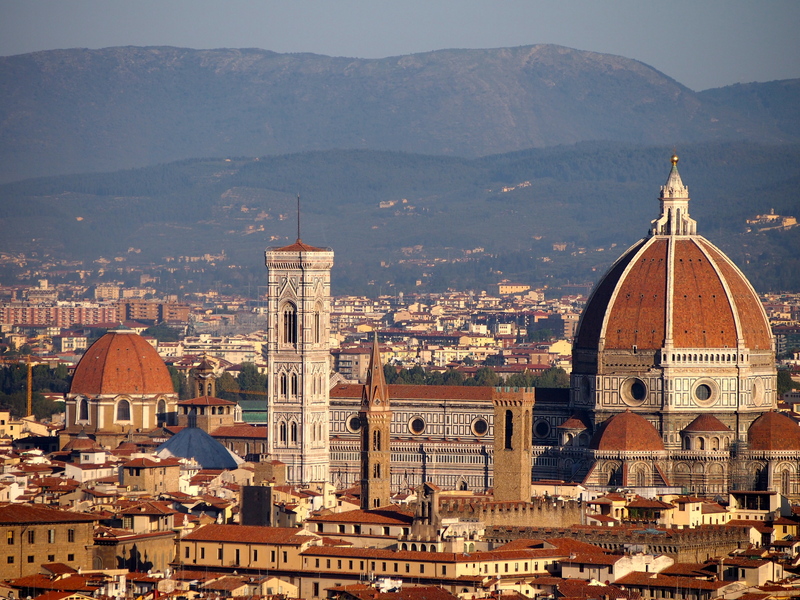 Among Florence’s many treasures are Michelangelo’s David, Brunelleschi’s Duomo, and Masaccio’s frescoes of Adam and Eve. Depending on how much time and energy you have it is possible to see all three. I recommend buying tickets to the Galleria dell’Accademia (David) and the church of Santa Maria del Carmine (Adam and Eve frescoes) in advance to avoid long lines and wasting valuable time. 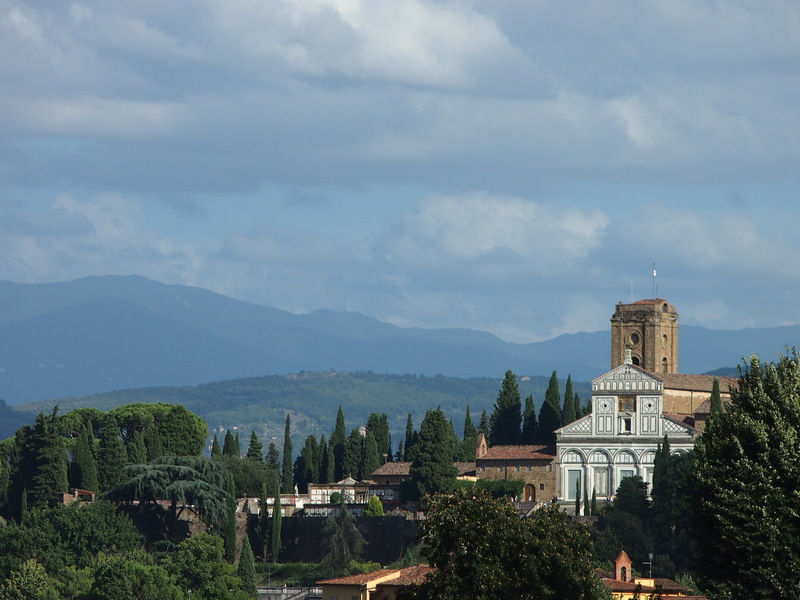 One of my favorite itineraries for a day in Florence includes arriving at Santa Maria Novella Station and taking a taxi up to San Miniato al Monte for an incredible view of the city. 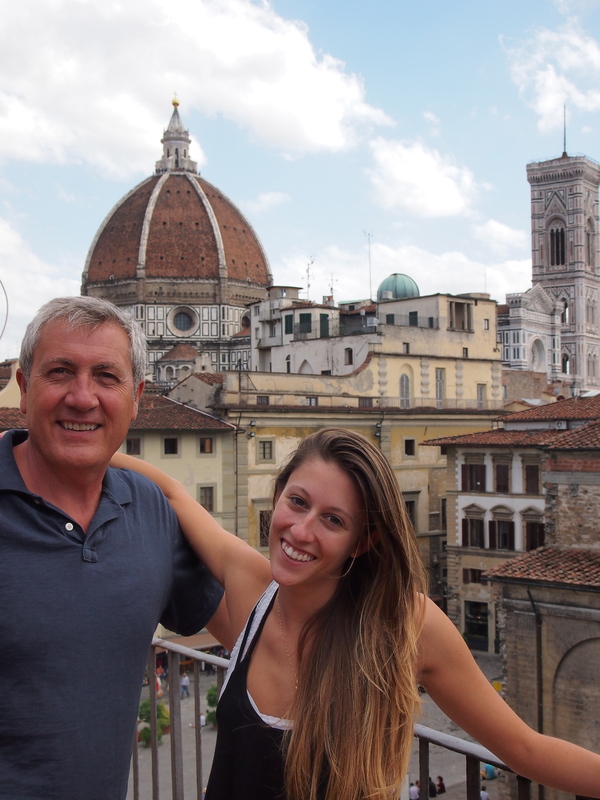 From the basilica walk the short distance to Piazzale Michaelangelo for another incredible view of the Tuscan valley. From the piazzale look for the stair case at the northwest corner and wind your way down the footpath past the Giardino delle Rose, a hidden gem, to the old city gate at Piazzetta San Miniato. 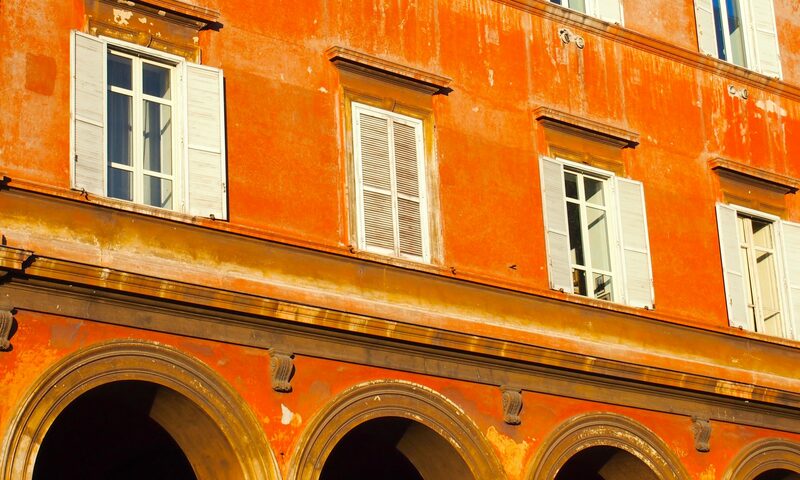 From this point you can wander toward Ponte alle Grazie and cross the bridge from the oltrarno, “beyond the Arno”, quarter of the city into the historic center of the city toward Santa Crocce. This is about a two and one half hour walk of incredible vista’s which allows you to avoid large crowds and plenty of time to visit some of the major attractions. As you wander this particularly beautiful corner of Firenze stop to enjoy a caffe, browse some of the incredible shops, and take as many pictures as you can. You will remember this city for the rest of your life!! 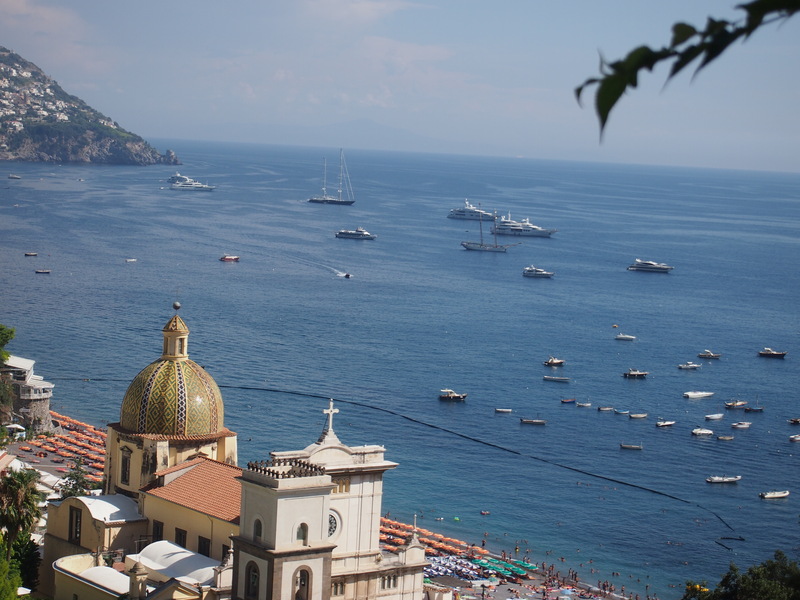 If your plans have you headed to Italy for more than two weeks I would recommend that you consider renting a car and take advantage of a few driving adventures. A wonderful article in the travel section of the New York TImes, that I often recommend, about the ins and outs of renting cars abroad is included in this post. One of the best pieces of advice I can give is to book your rental car through the country website for the rental company of choice. For example go to hertz.it vs. hertz.com. Most large companies with international locations will allow you to choose the language you wish use on the site making it very easy. You will often save 30% simply by doing this. The second piece of advice – know which credit card you will be using prior to booking and have a full understanding of the coverage your bank provides on rental cars outside of the U.S. Note the related article about IDP’s below. I have never been asked for anything other than my US drivers license. 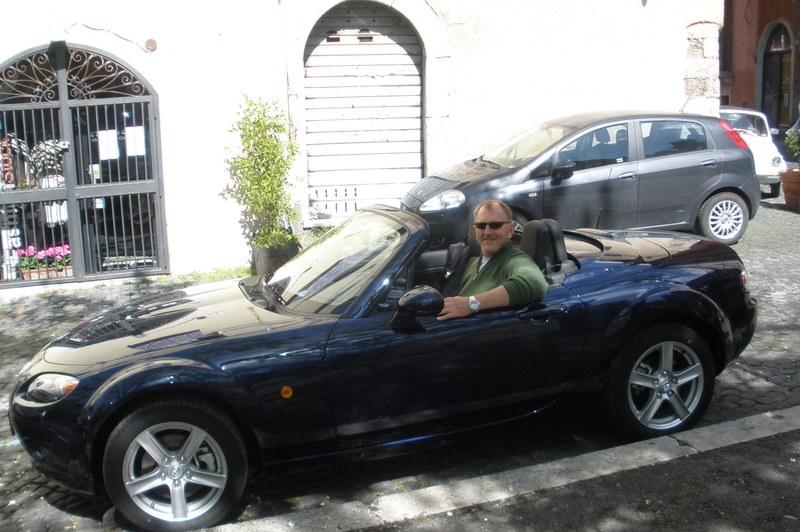 Lastly enjoy the experience – driving through the hills of Tuscany or along the Amalfi Coast is a memory that you will keep for life and well worth the effort. 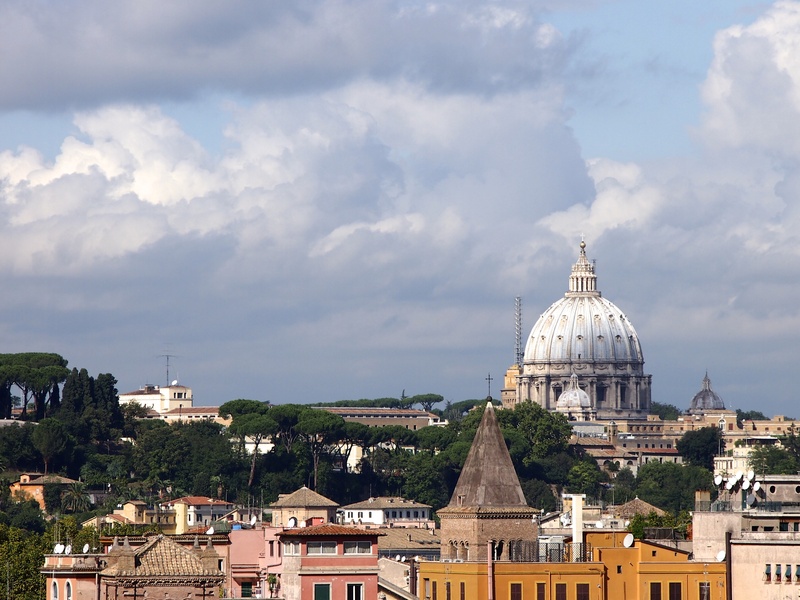 There are many day trips to nearby towns and cities that you can take from Rome. 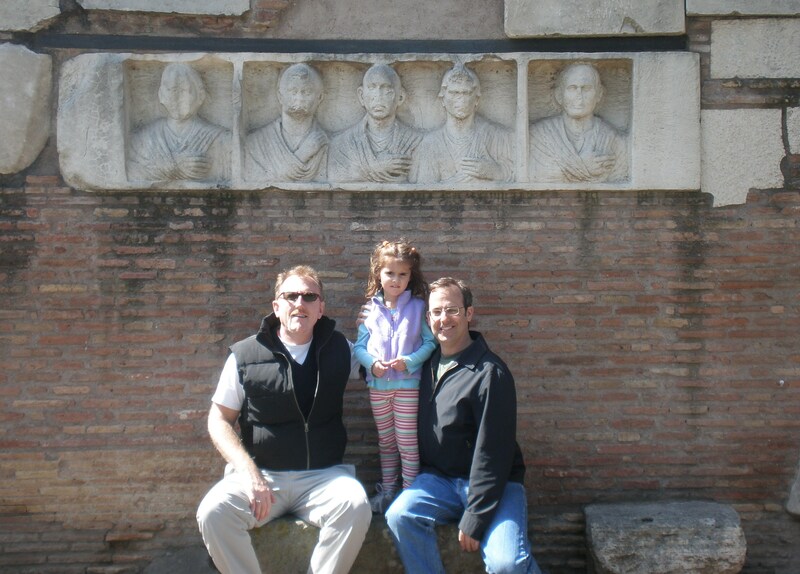 Florence, Frascati, Tivoli, and Ostia Antica are among some of my favorites. Taking the train from Roma Termini Station to Tivoli, located about 30 km to the northeast from downtown Rome, takes about 45 minutes. As the train pulls out of the station and moves into the country you see parts of the city you normally wouldn’t experience and finally as you climb the gently curving hills toward Tivoli you can look forward to beautiful vistas including some waterfalls. 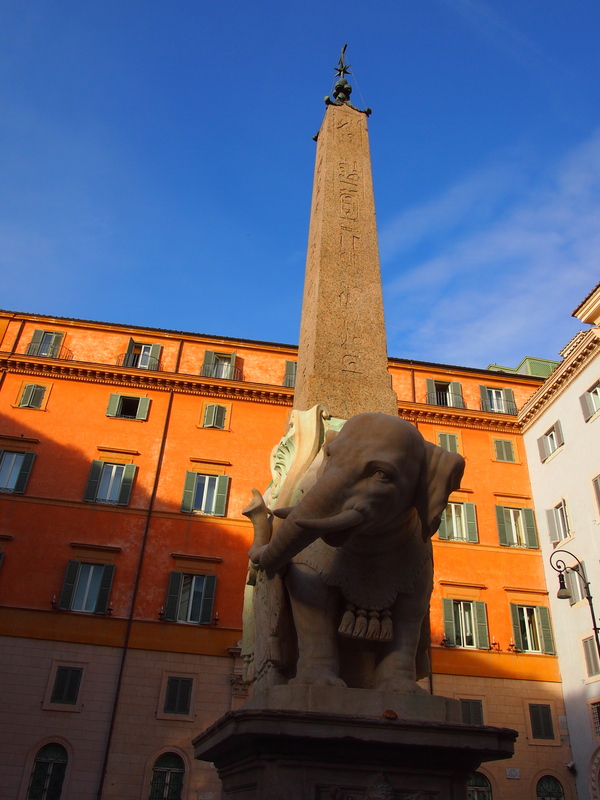 Upon arriving at the Tivoli Train station walk downhill on Viale Giuseppe Mazzini. When you arrive at the traffic circle, round the circle to your right, and stop at Il Ciocco for an espresso. 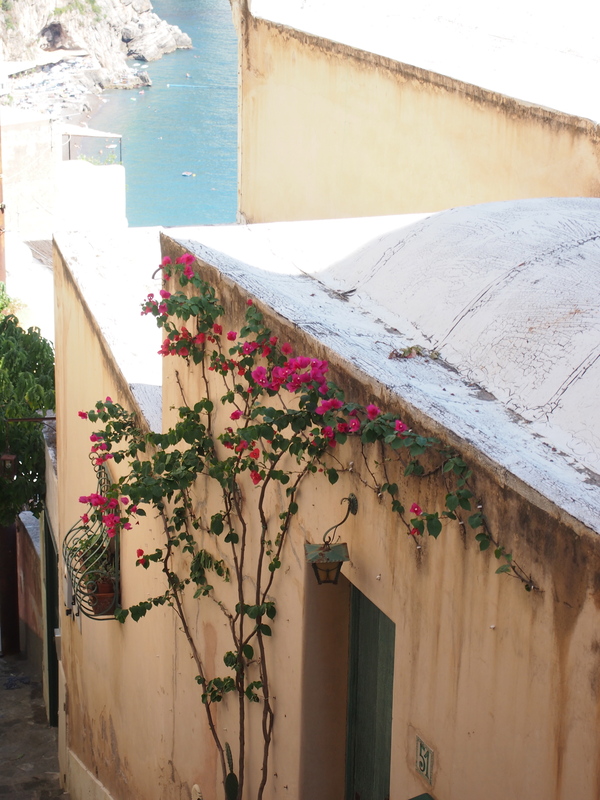 From the back of the bar you can look down upon Villa Gregoriana. 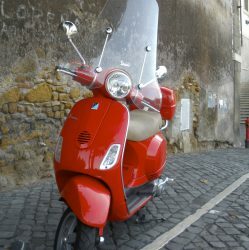 From here you can follow the signs to Villa d’Este and enjoy your walk up into this ancient town. Hills with a View – Climb One!